Mashed avocados are good for more than just guacamole. Their creamy texture and rich flavor is perfect for making pasta sauces or even for use as a spread on toast, and if you start with the right avocado, mashing it is a cinch. Try an avocado with a particularly buttery consistency, like a Hass avocado, and make sure that it's ripe. When it's ready to be mashed, it should be slightly soft when you give it a light squeeze, and the stem nub at the end should pop right off. 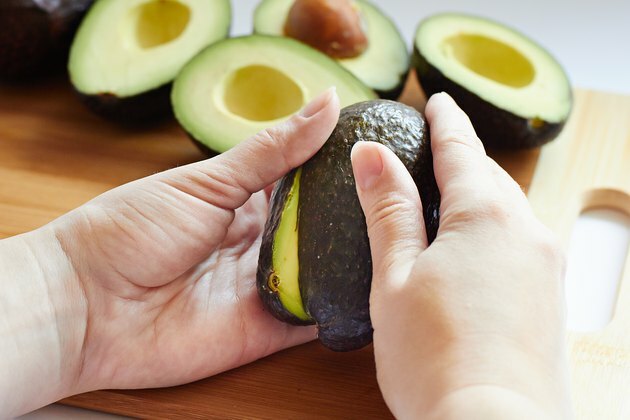 Place your avocado on a cutting board on its side and hold it in place with your nondominant hand, keeping your fingers and thumb tucked safely in. With your dominant hand, cut it lengthwise. When you reach the pit, go around it with the tip of your knife rather than cutting through. 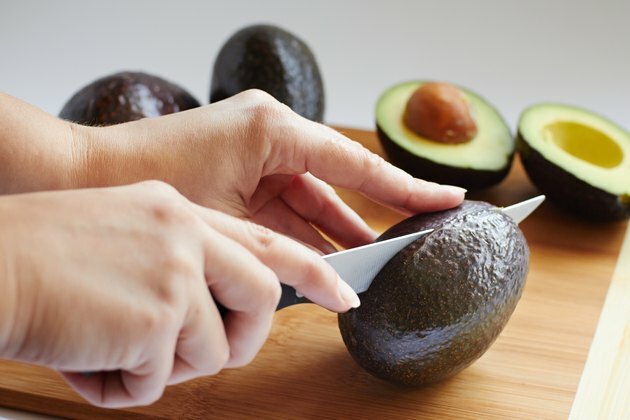 Turn the avocado over to make sure you cut all the way through from top to bottom. 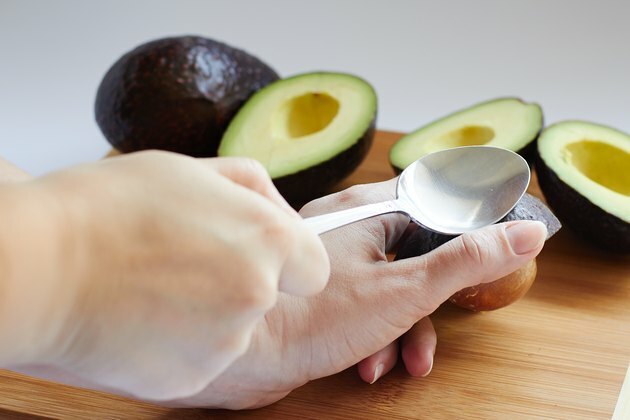 Pick up the avocado and hold it in both hands, with the cut you made in the middle. Twist the two halves in opposite directions, and they'll pop apart with the pit staying lodged in one of them. Smack the pit with a tablespoon to loosen it up, then use it that spoon to dig around it and pop it out. Do this over the garbage can, pointing the pit downward; once it's loose, it may come out faster than you expect. Scoop out all of the meat with your spoon and drop it into a mixing bowl. You can loosen it up first by cutting a criss-cross pattern in the meat with a knife, then scooping it out along the scored lines. 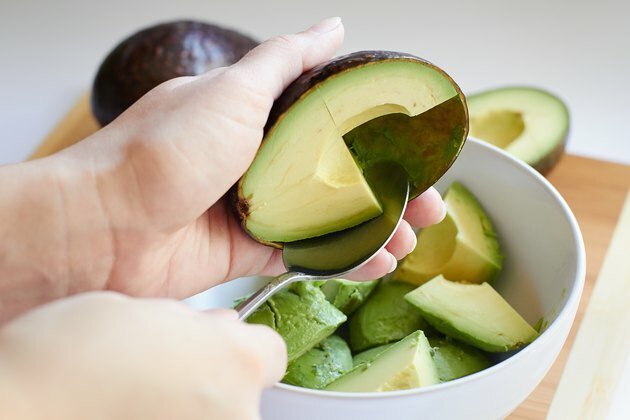 Squeeze a little fresh lime juice on the avocado meat in your bowl. 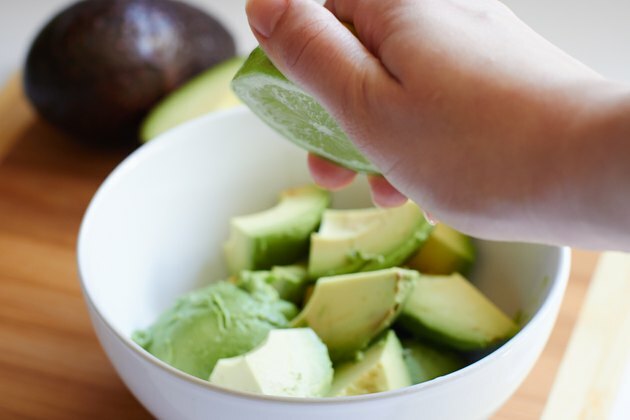 Avocados start to brown quickly once they're exposed to the air, but a sprinkle of lime juice helps it stay fresh longer. You won't need more than one half or one quarter of a lime. 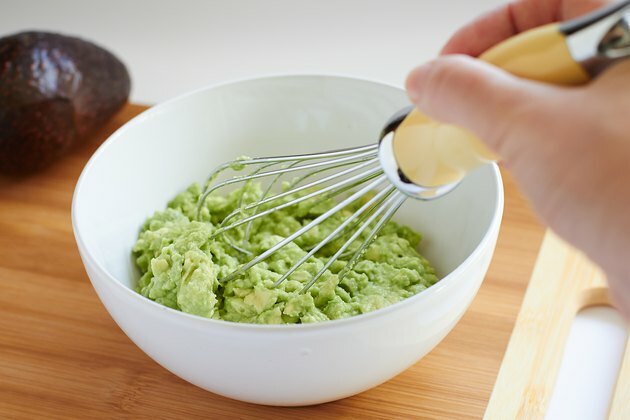 Mash the avocado using either a fork or a potato masher. 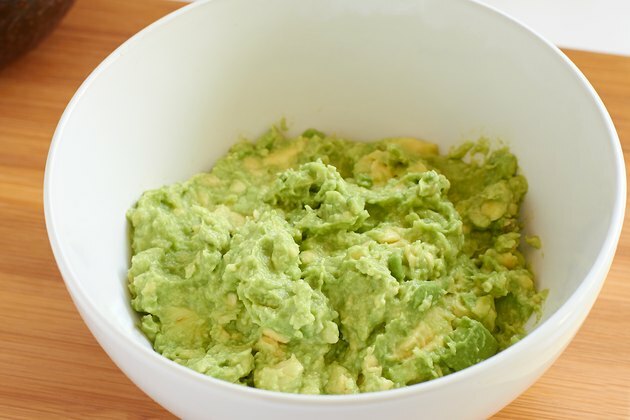 Mashing and stirring with a fork will leave your avocado meat chunkier, which some people prefer for their guacamole. A potato masher will give it a smoother, creamier consistency, which is better as an ingredient in recipes or as a spread.